The first Irish whiskey to have been finished in Hungarian oak. The wood for these unique barrels was sourced in the Carpathian mountains where the volcanic soils is highly suitable for oak trees. The forest is felled in the winter and the wood is air dried for two years in the same region used to make Hungary's famous Tokaji wine. Once coopered the barrels are used in their virgin state to impart unique flavours on the whiskey during a finishing period of 11 months. 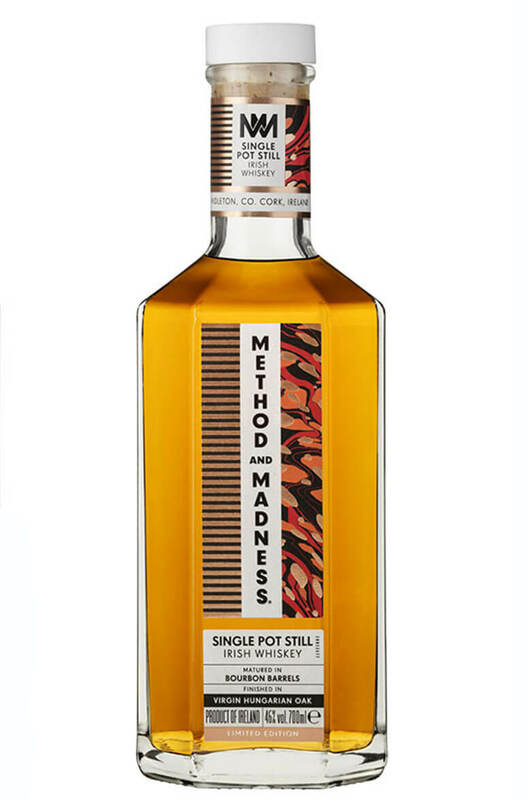 This release from Midleton's innovative Method and Madness range is a welcome addition and is sure to become one of the highlights amongst the different releases. Previous single pot stills in this range have sold very quickly so order ASAP to avoid dissapointment! Flavour Silky smooth richness, bittersweet liquorice and dry woodland notes. Finish: Dissipating spice and toasted Oak. Types of Barrel used for Aging Aged in ex-Bourbon barrels before being finished in Hungarian Oak (Quercus Petraea) barrels.